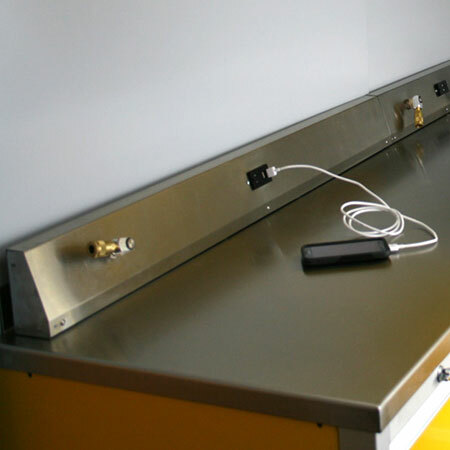 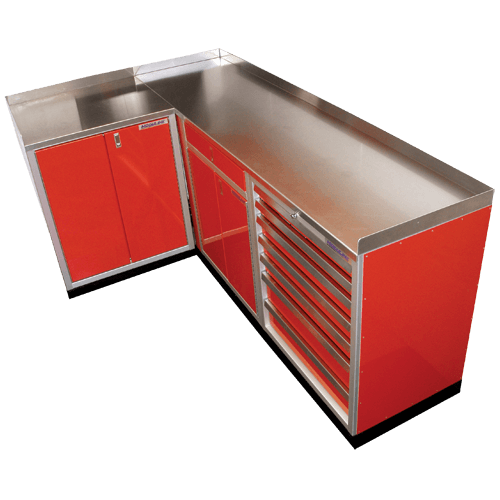 Garage countertop available in stainless steel, Butcher Block or aluminum. 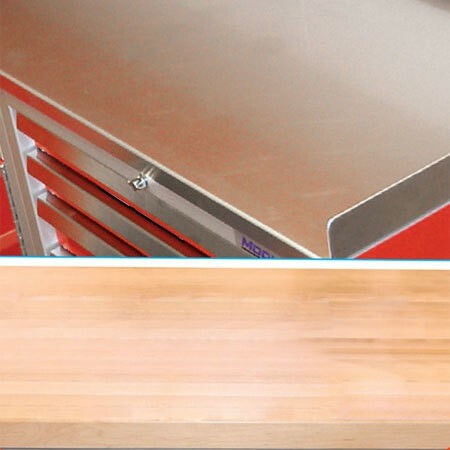 Moduline’s Countertops are solid aluminum or stainless steel, not laminated to particle board. 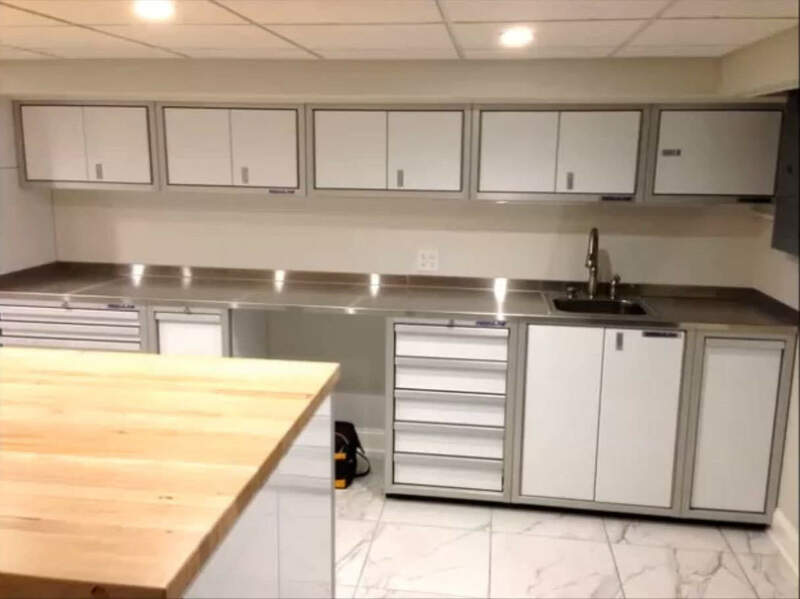 Custom fabricated, ready to install countertops can be seamless up to 12 feet. 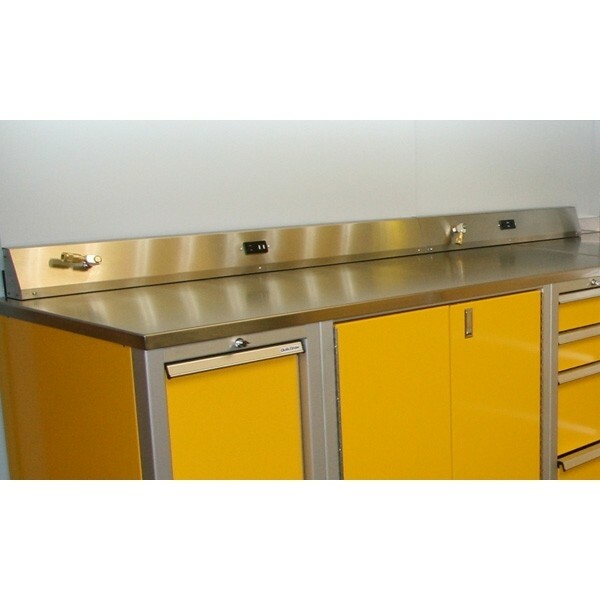 Back and side splash guards standard with aluminum and stainless steel countertops. 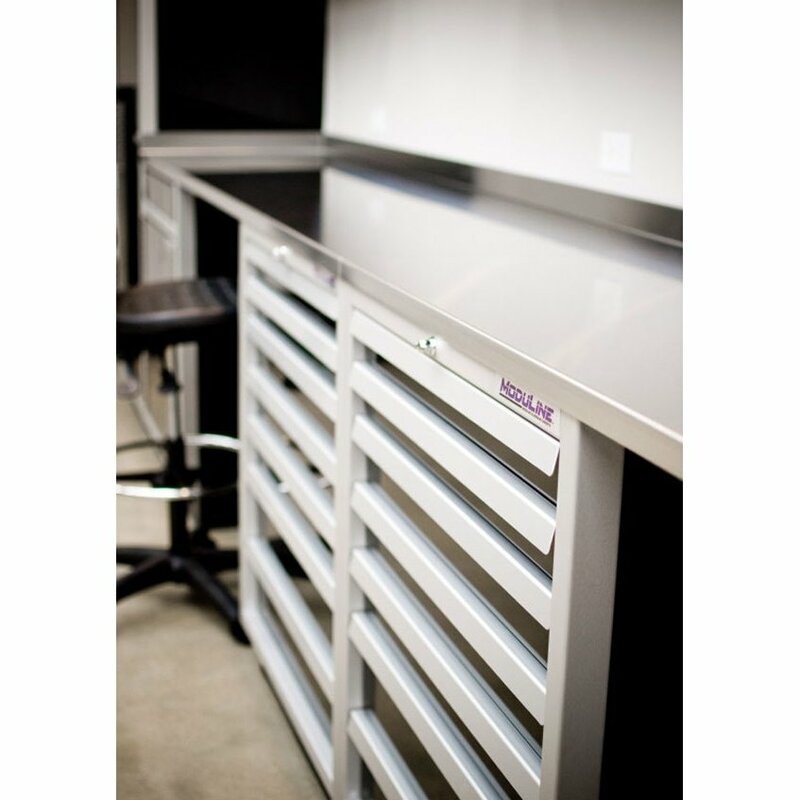 Stainless steel and aluminum provide a heat resistant, anti-bacterial surface. 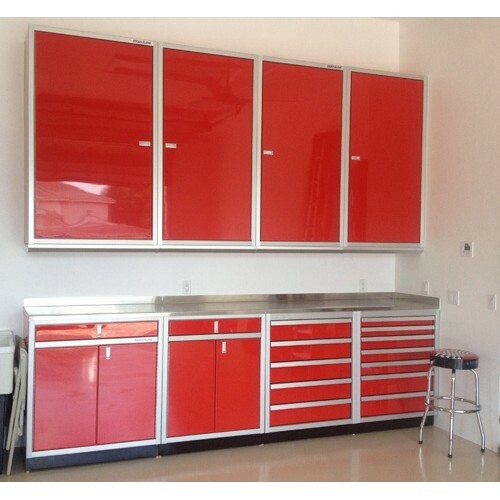 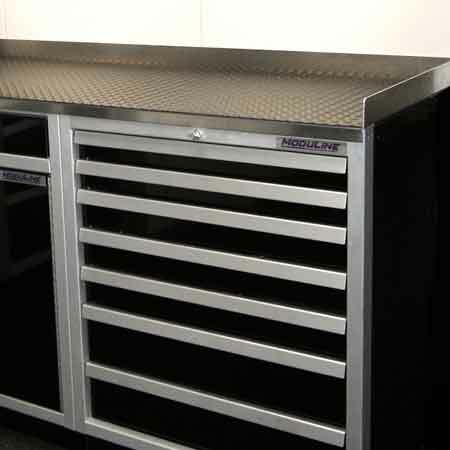 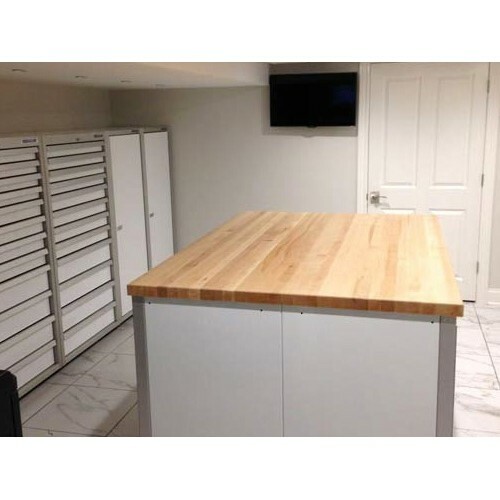 Creates a sleek, contemporary style garage workbench.